The tree that ensures all else shall die! I've just come back from an interesting morning at The Caravan Club in the outskirts of London. A bunch of us were treated to a walk through a sliver of forest where we munched on bits of plants we found growing out of the ground. Actual soil! We were like rabbits or something. Our guide, Monica Wilde (who is incredibly good at remembering names of both humans and plants) from Napiers Herbalist, showed us how to be like a proper rabbit, rather than one of those shoddy ones that eats poison and dies. There was some great stuff there; leaves with incredible garlic flavour; bramble that's dry at first but if you keep chewing it tastes like coconut; a poisonous arum with purple spots; a medicinal fungus that was also found on the 5,000 year old corpse of Ötzi the Iceman; and a plant called Sticky Willy (by some) which isn't so useful once it gets too "big and hairy". Quote-unquote, so it isn't my fault. Another thing stuck in my mind quite a bit. I don't know if it's because my personality bears some resemblance to a car crash, or if it's a preponderance of dark and gloomy thoughts, or because I got hit by car when I was three, or all that and more besides in a morbid, black web of grimnity. Whatever the cause, I just can't forget that Circle of Death. That circle of barren, dusty soil that surrounded the foot of a small Yew tree as if its own shadow poisoned the very earth on which it fell. Of course, it kind of does! The story often told is that it's because of poison in the leaves or roots that leech into the soil, but that might be a myth. It could be that the Yew simply excels at taking up every bit of moisture and light from the ground, leaving behind a tiny, post-apocalyptic landscape. One thing is certainly true, though. Yews are magnificently poisonous. 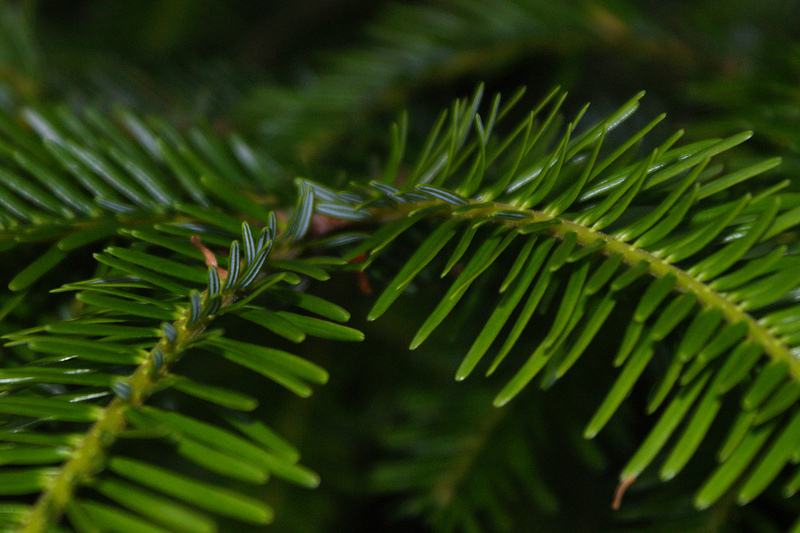 Every part of a Yew is poisonous, including the bark, leaves and seeds. Basically they start out as little packets of death and grow into large, branching networks of death. Deadly alkaloids known as taxanes course through their woody veins. Just a few ounces of those spindly leaves is enough to kill a horse, sheep, pig or whatever else in minutes. You see, there's one time of year when a Yew deigns to allow a few, small parts of itself to be eaten without issue. We might call them "berries", but they're not really. They're not even proper fruit! Fruits come from flowering plants, known as angiosperms. Yews are conifers, a kind of gymnosperm, which is a group of plants that were around long before the first flower. When you hear "conifer" you usually think "pine cone". A pine cone is a bundle of woody scales each with a seed attached to its surface, rather than completely covered in flesh as in a fruit. With Yews, the scale is modified into edible, non-poisonous flesh known as an aril, which encloses the seed in a manner akin to a proper berry. The Yew has managed to find a way of making use of all those pesky animals that constantly clamber all over it. 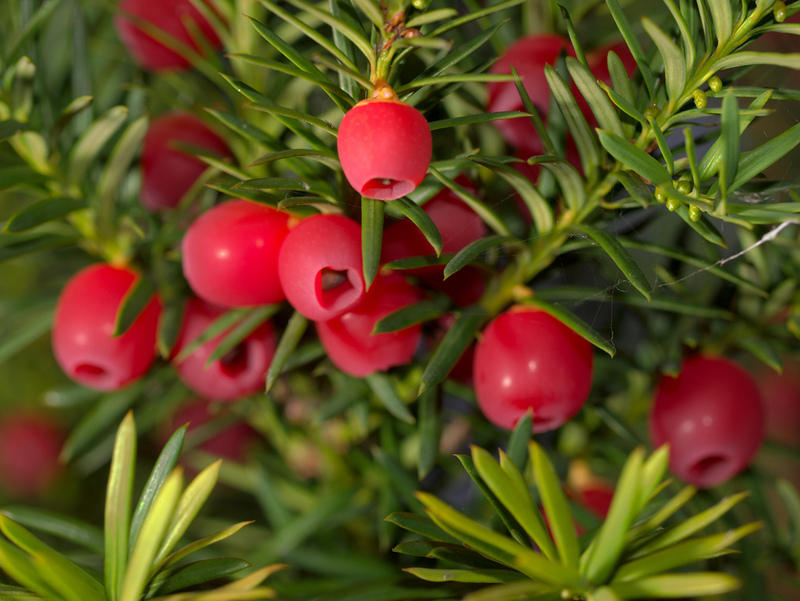 While most gymnosperms cast their seeds into the wind, the Yew makes like an angiosperm and encourages birds to eat small, red bits of itself. Said birds digest the fleshy aril while the seed passes on and out unscathed. This is good for the Yew because seeds don't work when they're mashed and digested. It's good for the bird because the seed is horribly poisonous, so this is one case where not chewing your food is a life-saver. It looks like the birds have been kind to the Yew, since they're pretty much everywhere now. The tree originally called the Yew is Taxus baccata, a species found across Europe, north west Africa and parts of Asia. Since then, more species have been found in North America, Mexico, China, Japan, the Himalayas, India and more. 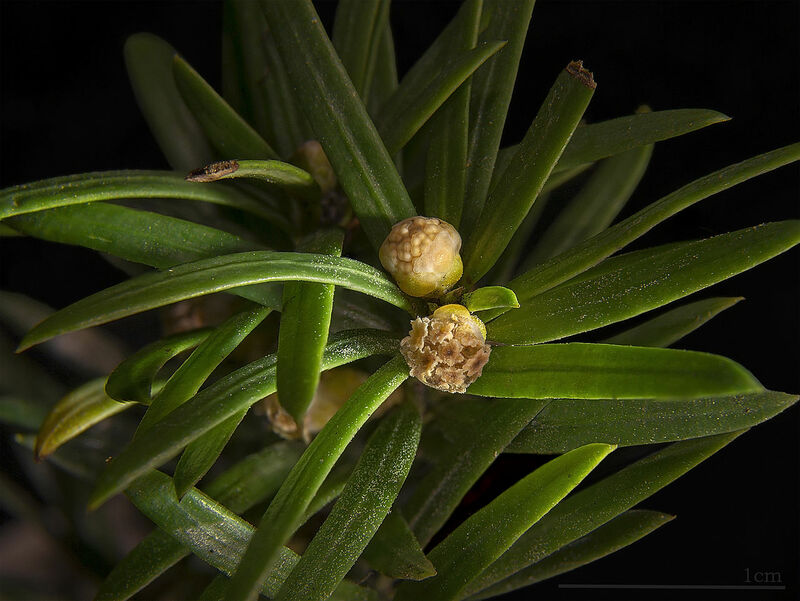 There are about 8 other species in Taxus across much of the world, and most of them are so similar as to be almost indistinguishable. It has to be said, though: they're true home has got to be Britain! 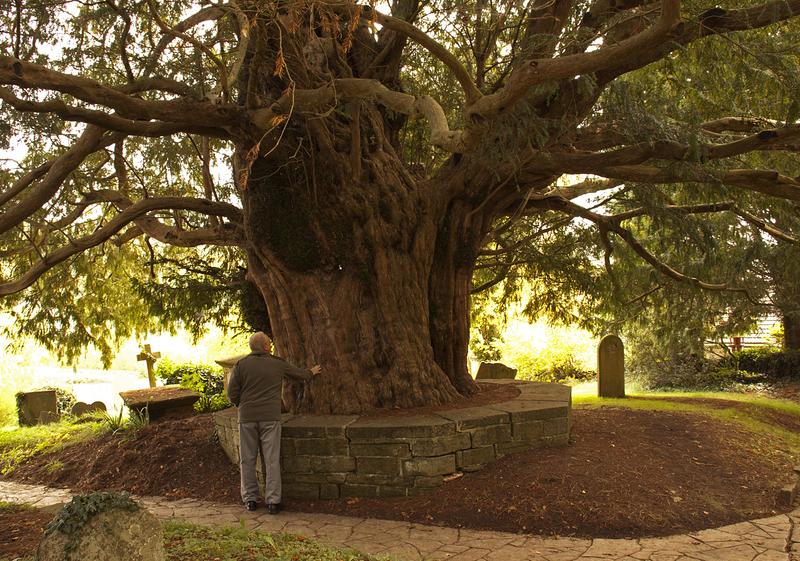 In the churchyard of St. Dygain's Church in the characteristically unpronounceable Welsh village of Llangernyw, stands an enormous Yew which is thought to be either 1,500 years old, or closer to 5,000. It's difficult to tell, since the heartwood where all the tree rings would be has rotted away. The old gentleman is left split into fragments, yet still going strong. 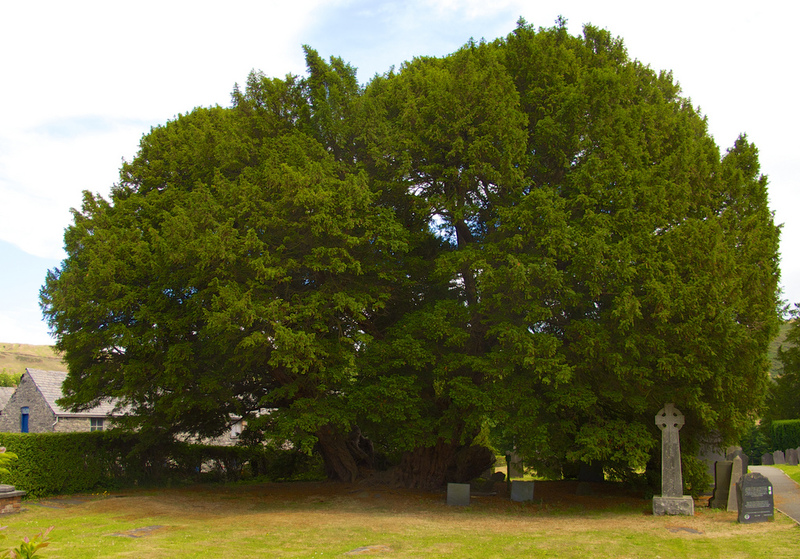 In another churchyard, this time in the village of Fortingall, Scotland, there's another Yew. This one is estimated to be about 2,000 to 3,000 years old but again, the heartwood is all gone so it's difficult to tell. This time we even have a naturalist who wrote in 1770 that the heartwood had completely rotted down to the ground within living memory. There's a lot of interesting archaeology in the area, like ancient burial mounds and standing stones, as well as a host of nearby place names which seem to mention a sacred tree. Probably that's the Yew! One can well imagine that these evergreen trees with their immense lifespans could be seen as sacred. Some of them must have been around for so long they became recurring characters in all the local myths and stories. The fact that your horse immediately dies after eating it must have added to its irresistible power. At that point it's either going to be burned or sanctified. 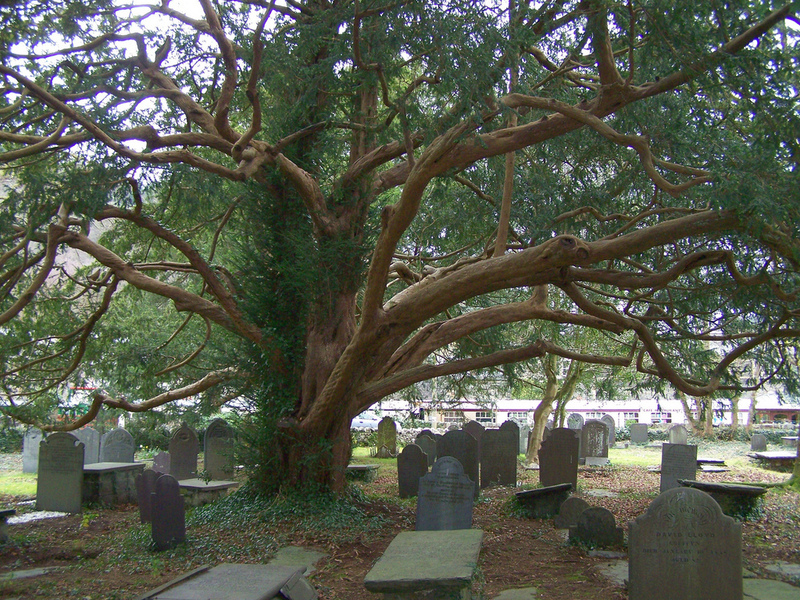 This could be why quite so many Yew trees in Britain and parts of the rest of Europe are found in churchyards. Perhaps churches were built on grounds that were already sacred in pre-Christian days. Or perhaps the toxicity of the Yew was used to discourage people from trampling around the place with their horses. Either way, there are quite a few Yews that stand in the middle of great fields of tombstones. Which renders my Circle of Death rather paltry. Yews could also be used for death in a much more proactive way. Their springy wood was perfect for longbows, which were about 6 foot tall and could fire arrows further and faster than your average bow. They could even punch through armour! Perhaps their most famous outing was the Battle of Agincourt in 1415, where some 6,000 to 9,000 English and Welsh troops faced at least 12,000 and maybe as much as 36,000 French. About 80% of the English side were archers, and they crushed the opposition, killing up to 10,000 including a bunch of dukes and counts and dozens of other nobles. The English in contrast seem to have lost little more than 100 men. 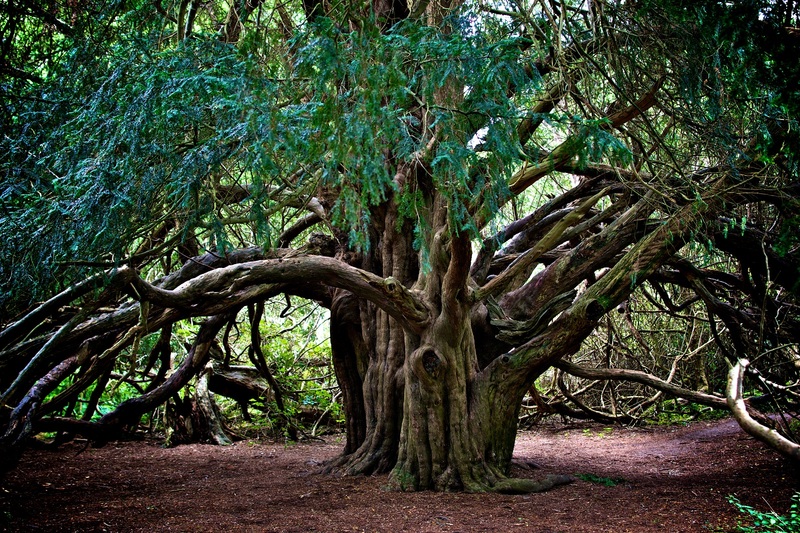 Today, Yew trees are used to produce drugs for cancer treatment. Those taxanes that poison almost anything that tries to eat almost any part of the Yew are toxic to cancer, too. Scientists face are all sorts of difficulties in creating more taxane based drugs due to their complexity and poor solubility in water, so it's an area of ongoing research. It seems the Yew tree's reign over death isn't ending any time soon. 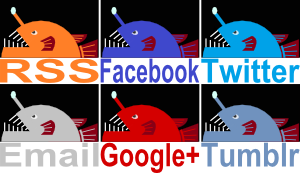 Big thanks again to Monica Wilde (@monicawilde) for sharing her expertise and Barracuda Digital for the invite! the use of them for cancer treatments - neat! Ha! Yes, they're very impressive! Voldemort's wand was made of yew. @Maple--wolf: Wow, Yew is entirely magically!